My posse and I hopped. Orange was in there air. I've got a little something, something planned. You'll probably see it in 2012. Retreat is coming up this fall. I'm thinking this red will be the "star" part. Blue will be the first strip of the "hexagon". You'll see it completed in 2016. 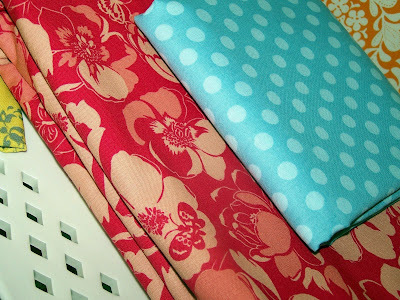 Unfortunately, (or fortunately) I didn't find any Japanese fabric until I was far over budget. These pieces were just the tip of the iceberg of what I wanted. Added to my collection of Minny Muu. Ikea was the last stop. The last drop of my money. I bought wedding presents to last me through the summer. It's a beautiful thing, but it's EVERY weekend. Had to grab a couple 'mini' bolts of this vibrant stuff! 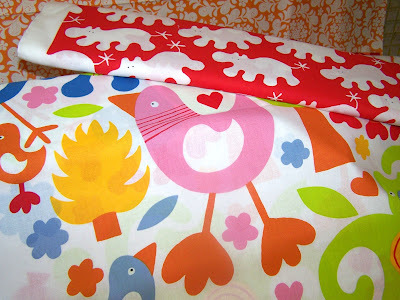 I think it will make perfect quilts for kids! I should have those done in 2009. But I will manage somehow to push it in to 2010. I just work that way. FUN STUFF!! I'll bet it was so hard to stay under budget. I'm lovin' that stack of orange prints. I don't know why you think you are slow, you seem productive to me. Let's see something with that orange way before the end of this year. k?? 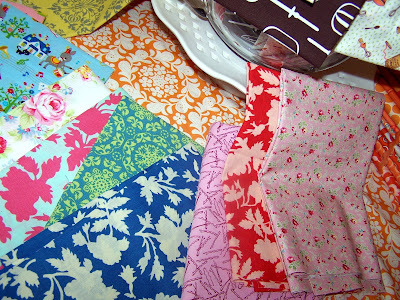 Looooooooooooooovvvvveee all the fabrics.....what a fun day. I am SOOOO bummed that I missed it! 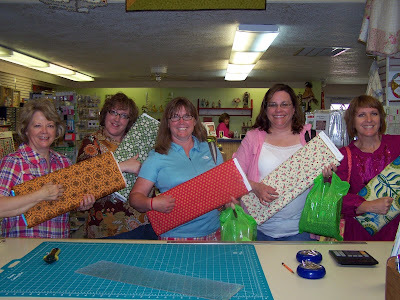 And I am so jealous that you have so many friends that LOVE fabric like you do! When people come to my house and see my sewing machine they say, "I didn't know people did that anymore!" What is this world coming to? ;0) Oh, and I love those Ikea prints-- I SOOO want some! 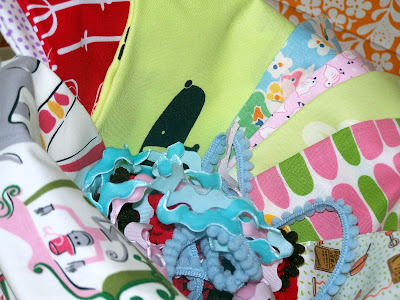 Great fabrics and great post...I love how you've given yourself plenty of time to make all of those quilts...I should think about doing that! Oh I LOVE orange!!! And my Ikea didn't have either of those fabrics last time I went! So cute! Wait just a minute...I have to pick myself up off the floor!! Enjoyed your post!! F.U.N.N.Y.!! YAY! What a great time you all had. Lots of good projects on the distant horizon. ;-) Especially looking forward to seeing that orange project. 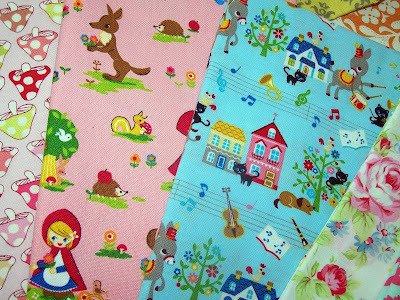 I love the little red riding hood and the toadstool fabric!! SO cute. Might these be going into the store?? 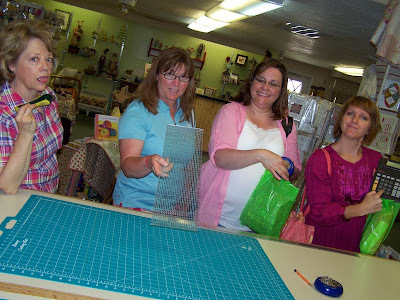 the years that you listed for when you will finish quilts... too funny!! At least you do it. I'm fighting color-choice paralysis. 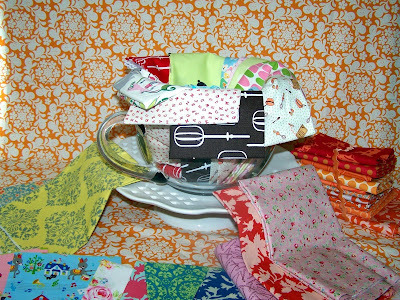 I have a few little stacks of fat quarters that are smiling kindly at me. 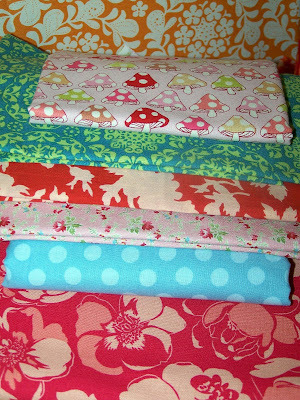 Love all those darling prints, especially the mushroom one. It was so good to see you Sunday. I will make sure to visit next time I'm up to see the fam! 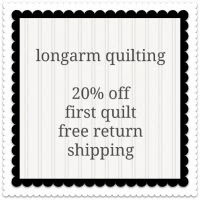 Looking forward to seeing the quilts of the future! I love all of the fabrics you bought. Right now, I am really into orange so I am anxious to see what you create. FINALLY! Someone put some pictures up so I can see what you guys found. Looks like you were a prolific shopper. Way to go girl! Who cares when it is done...look at that great fabric you obtained for your stash. I love it all. I'd want it all. That orange is so striking! 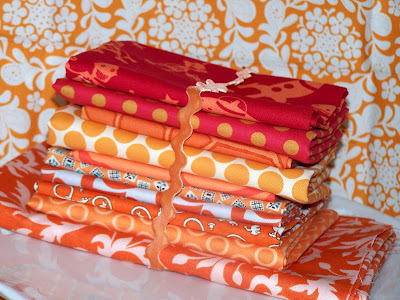 Hey I have some of those fabrics too! You might not see some of mine until 2012 too. Sheesh I'm so behind. Big behind. Pun intended. I SOOO wish I lived close to an IKEA! The closest one is about 8 hours away. 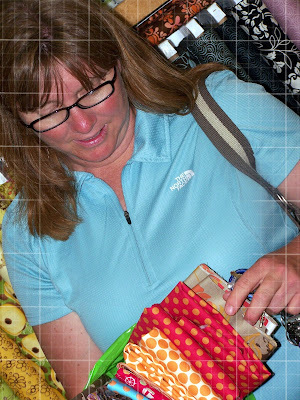 You got some great fabric on your shopping trip! 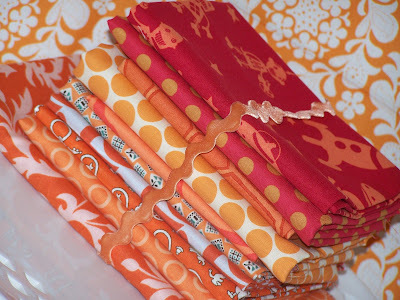 What fun and such great fabrics. WHat is that adorable fabric with the monkey wearing a pink hat in the second photo?? I must find it! LOVE the fabrics! Especially the Japanese ones! OOOOOOHHHH!